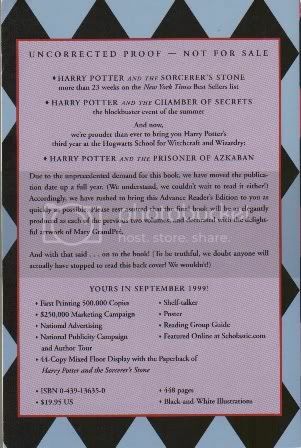 As we all know, us collectors love to see books! So, why not create a thread in which we can showcase our non-SK book collections and/or most prized collectibles? Please do so here; I also created a Stephen King collections thread in the appropriate subforum (click: viewtopic.php?f=11&t=356). As for me, I'm only just beginning to collect my other favorite authors in hardcover 1sts, so I don't have anything to show yet, but I'm sure many of you have impressive collections of other authors.... so please share! This thread was inspired by ur2ndbiggestfan's amazing Jack Vance collection posted over in another thread. Re: Showcase your non-SK collectibles! Left to right: The Andromeda Strain, The Terminal Man, The Great Train Robbery, Electronic Life, Jurassic Park, The Lost World, Airframe, Timeline. In front: proof, ARC, and trade HC of Sphere. Last edited by biomieg on Wed Dec 14, 2011 6:26 am, edited 3 times in total. Very nice! I will post some pics soon, never fear, I'm trying out a different camera because I am dissatisfied with the quality of my pictures. I loved THE ANDROMEDA STRAIN and THE TERMINAL MAN but the only 1st I have is the US paperback edition of TTM! I also liked the movie he directed, THE GREAT TRAIN ROBBERY. Always looking forward to your pics I've always loved Michael Crichton's books and a couple of months ago I decided I should start getting his work in hardcovers. And as long as you're not going for S/Ls (there are a couple of those) or his pseudonyms (John Lange, among others), Michael Crichton is an easy author to collect. There are only 19 books, plus proofs/ARCs if one is so inclined. And they're not that expensive either. I paid $69 for The Andromeda Strain and $55 for the Sphere proof, but the other books were all in the $7.50 - $15 range. Here are my Robert Bloch books including Thomas Harris, who is also quite easy to collect. 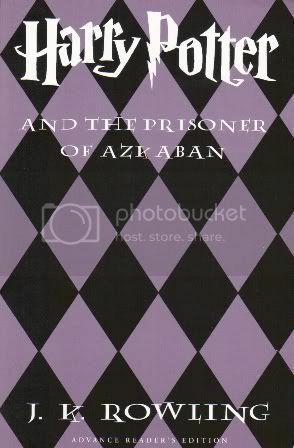 A proof of the US Harry Potter and the Prisoner of Azkaban. End of Clarke, all Eisenstein, beginning of Ellison. I finally figured out how to take clearer pictures! Richard Matheson's BLOOD LINES in traycases for lettered and numbered states.